The original byre was a stone structure with a pitched slate and corrugated iron sheet roof. 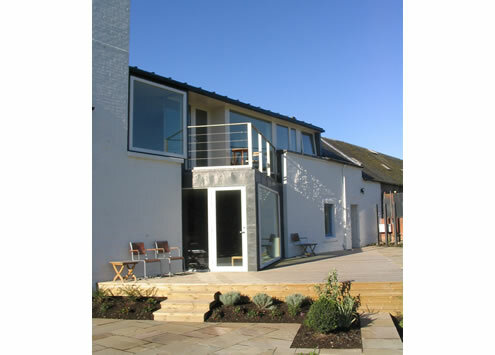 The design sought to transform the farm building into a series of bright modern spaces opening to a new garden in contrast to the more traditional introverted spaces of the original farmhouse. 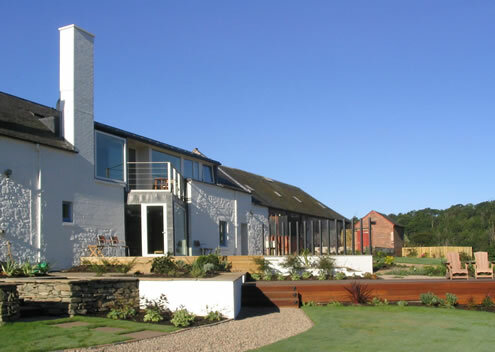 New openings were formed in the byre walls where existing stonework was collapsing allowing views through the structure from an internal courtyard to a riverside garden. 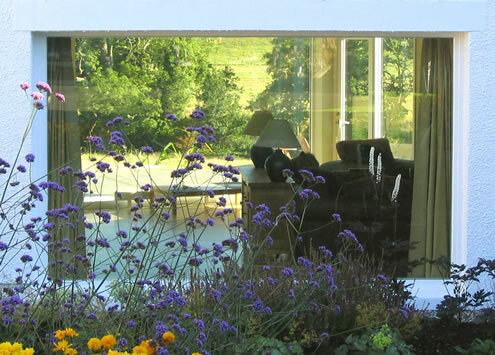 A large living space at ground level expands to the garden with a new bay canted towards the sun and view. At first floor level an open plan bedroom and bathroom enjoys a new glazed elevation and balcony opening to the morning sun.